Welcome to Ice Cream Week 2014! This year the event is hosted by Kim of Cravings of a Lunatic and Susan of The Girl in the Little Red Kitchen. We have teamed up with 25 amazing bloggers to bring you ice cream treats and a giveaway all week long. I hope you have as much fun as we are! Break out those stretchy pants and celebrate Ice Cream Week with us. In my teens I worked at Baskin Robbins. I started out scooping ice cream--making cones, shakes and sundaes. By the time I was in college I was the summer/holiday ice cream cake and pie maker, filling in for the mom who worked full-time during the school year. 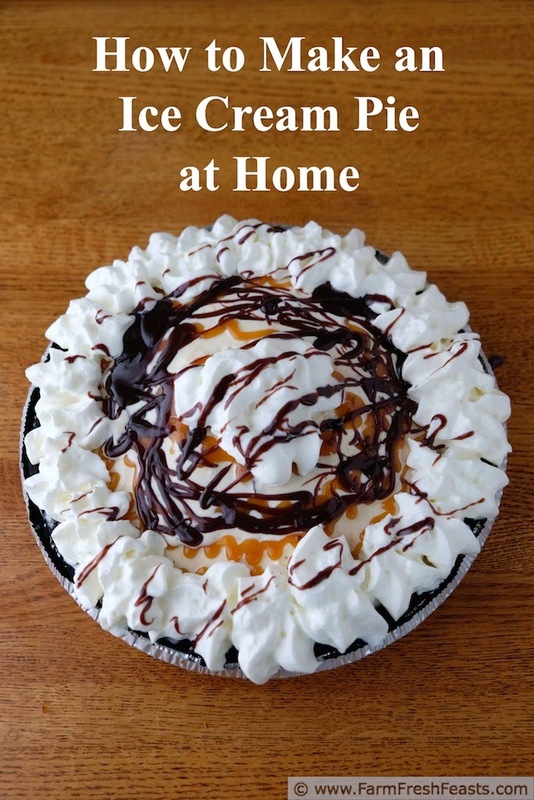 Having thus established my bona fides, I'd like to share how simple it is to make an ice cream pie at home. At the ice cream shop I didn't get all Little Red Hen-ish. Instead of raising the cows and planting the wheat, I just assembled the desserts using pre baked cakes, pre churned ice cream, pre made fudge sauce and the like. If you'd like to make your own ice cream, fudge sauce, or pie crust there are recipes from my fellow bloggers below and I'd like to give a special shout out to Beth's Thin Mint Ice Cream, Donalyn's Fresh Mint Chocolate Chip Ice Cream, and Carla's Homemade Hot Fudge Sauce because they are recipes I've bookmarked to try. Today I'm not going to show you how to make ice cream--instead, I want to show the techniques I learned while making ice cream pies for a living--and how you can do this in a home kitchen [or at work in a thrift shop--really anywhere with a freezer, a flat surface, and access to clean water will do]. Sorry for the poor lighting--I was at work. You can make these anywhere. This is a Concept Recipe, along the lines of my Fast CSA Greens and Pasta concept recipe. Use the combination of ice creams and toppings that appeals most to you. My son usually requests a Grasshopper Ice Cream Pie (mint chocolate chip ice cream + fudge topping) for his birthday. My spouse prefers salted caramel and chocolate combinations, and my daughter and I know it's ice cream so we eat it all! Ice cream, pie crust, whipped cream and topping(s). To start, you'll need 4 things: ice cream, pie crust, topping(s) and whipped cream. How simple is that? I have a preference for the chocolate cookie type pie crusts, but in these photos I've deliberately tried to keep it generic. 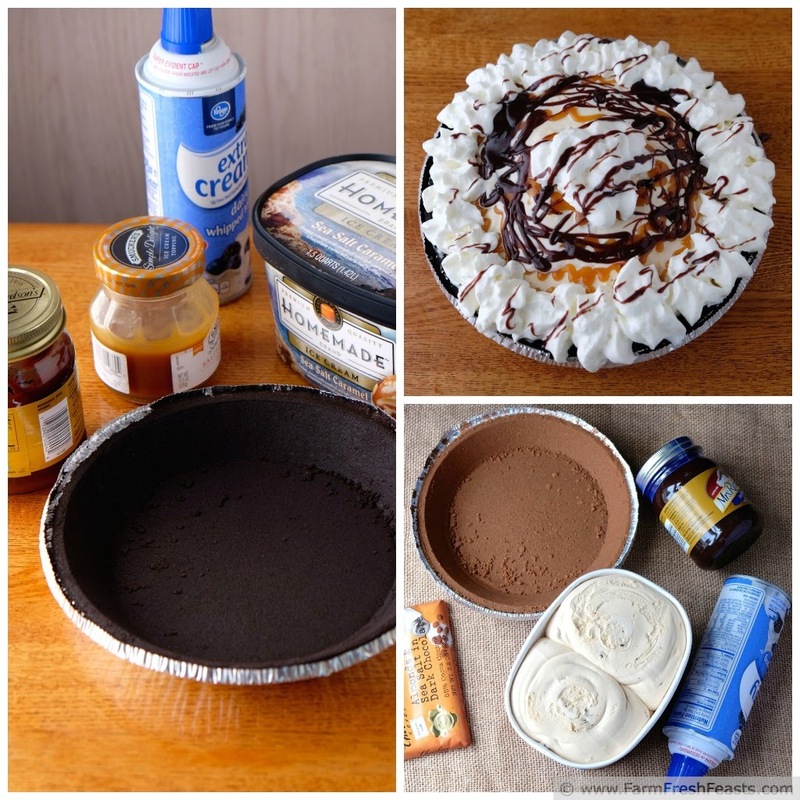 I prefer to use a new jar of fudge topping with each pie, since it is very easy to spread fudge sauce at room temperature [I think you can find something to do with the leftover sauce] while microwaving chilled sauce seems to never end well for me. Spread the fudge, dump in the ice cream, smooth the top. Easy. Decorate with toppings however you like. Finish with whipped cream. You will need a freezer to make this recipe (no other tools required). Other recipes I'm sharing this week will involve ice cream makers, blenders, a stove or oven. But for today--just a freezer. And a flat surface. Go! This takes 2 to 3 hours to complete, but only 15 to 20 minutes of active time. 1. Spread ¼ cup of fudge topping along the bottom and a bit up the sides of the pie crust. Freeze for 30 minutes, and while it is freezing take the ice cream out to soften up for 10-15 minutes. 2. Layer softened ice cream into pie crust (I use the paddle from my rice cooker to cut 'slabs' of ice cream and transfer to the pie crust). Smooth ice cream top (an offset spatula works great for this). Freeze for another 30 minutes to an hour [check Pinterest or FB while you wait?]. 3. Decorate with remaining fudge. You can use room temperature fudge, spooned into a plastic bag with the corner snipped off, to pipe a grid pattern atop the frozen ice cream as shown in the chocolate mint chip pie above. If you prefer, heat the fudge for 30 seconds on full power in the microwave, and drizzle randomly across the top. Either way, freeze again for another 30 minutes to an hour. 4. 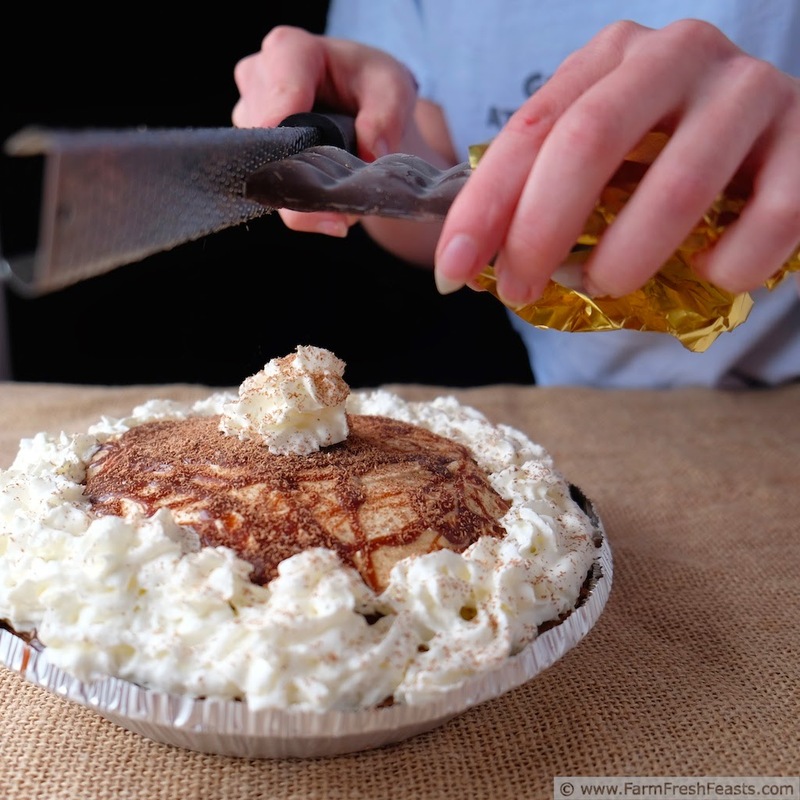 Finally, decorate the perimeter and center of the pie with whipped cream, holding the can near vertical and forming rosettes around the edges and one in the center. Optional--top with grated chocolate, or extra cookie crumbs. Freeze one last time--this will cause the whipped cream to deflate a bit, but it's cleaner to cut. 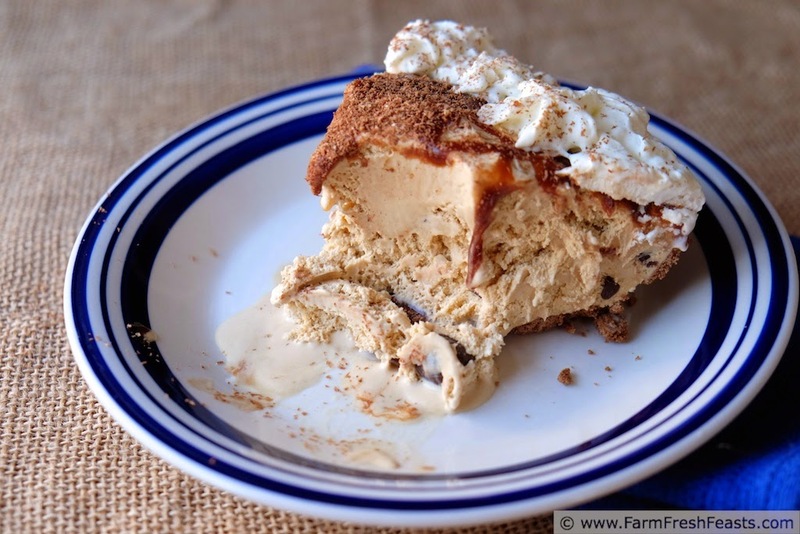 Now that is one gorgeous ice cream pie! Thanks for the tips on how to garnish so perfectly!!! Thank you! 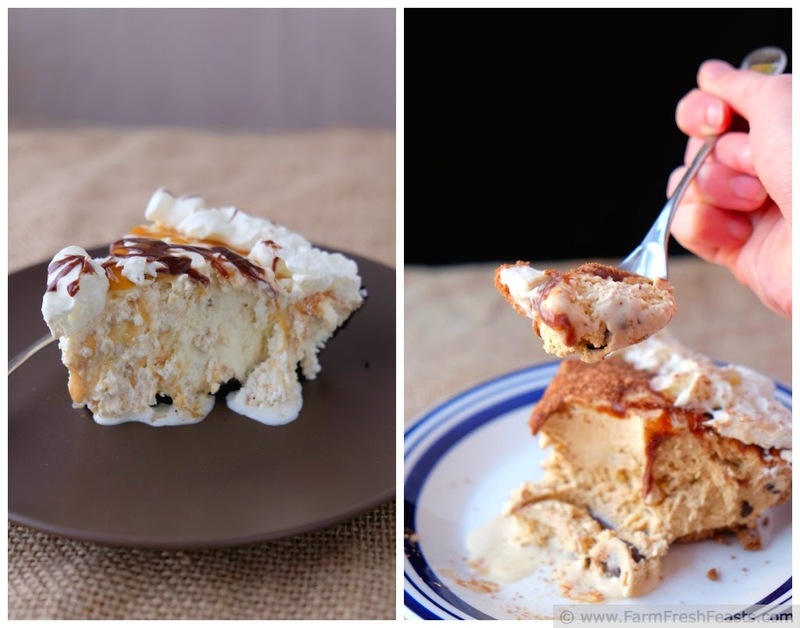 The layer of fudge on top of your pie is making me swoon! I can truly say that each pie made for this week was yummy. You can't go wrong with ice cream. Thanks! You made ice cream pies for a living????? Tell us more! My first ever official W-2 paying gig was Baskin Robbins, my friend! My mom has a photo of me in my pink dress, which tells ya how long ago that was, but tragically there was no room in this post for it . . .
Love the look of this pie. So delicious! Thanks very much--this post was a fun one to make and remake. Much like my Cheater Margarita Smoothies, come to think of it . . . The only thing better than this giveaway Kirsten, is you. 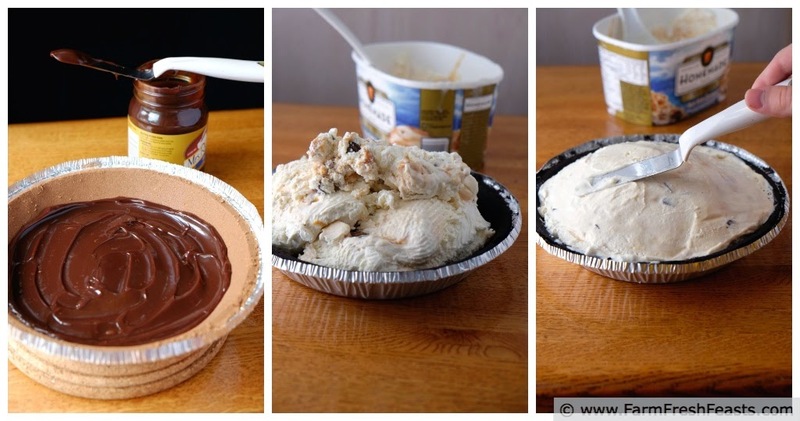 And the ice cream pie tutorial. Brilliant. Thanks! I'm so glad that Kim got it worked out so you Canadians can play along with the Southerners! I would like the caramel ice cream with chocolate toppings please. I'm so excited for ice cream week, and to show my support, I'm wearing my stretchy pants right now. Yay! Let's hear it for stretchy pants! The Sisterhood of the Stretchy Pants, anyone? Great tutorial! I guarantee that I could find something to do with that sauce. I hoped you could ;) ! All essential information and your GIFs are awesome. Also my first job as a teen as a Baskin Robbins too but it didn't last long, not a good idea to hire people in the winter! I think I must have started in the Spring, because by the end of Summer I was hooked. Loved that job, the people, and of course eating ice cream! Ice cream pies are da bomb! Hi again! 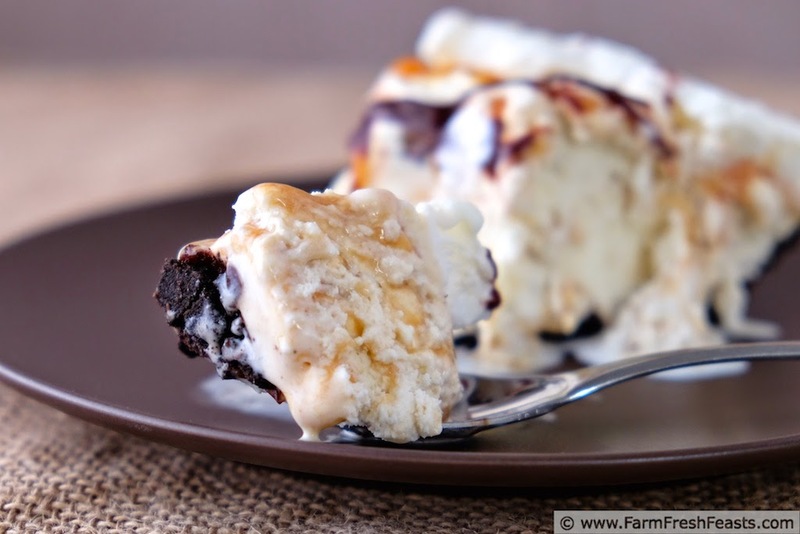 Just left a comment on your ice cream sandwich post, then found this one on the same blog hop. Excellent post, great photos, makes process easy to understand. Pinned to my Ice Cream, Pies and Cakes board! Umm-Black raspberry with a chocolate crust and chocolate fudge sounds good to me!